Giovanni Everduin: When Building People Analytics, Always Start With Why! Giovanni Everduin, a global expert on People Analytics, Organizational Strategy, Culture and HR is one of the keynote speakers at the Global HR Trends Summit Zagreb 6, Croatia's biggest international HR event. Currently the managing partner at ETNICITY Group, Giovanni has more than 17 years’ experience in problem solving and people skills across Strategy and Human Capital. A true citizen of the world, he has lived and worked in 10 different countries across Europe, North & Central America and is currently residing in Dubai. You have worked in very different companies and industries, but people analytics is your passion. Please share with us a bit about yourself and your professional journey? GE: I started out in consulting based out of the London office of Accenture, where I was working with numerous Fortune 500 companies across the globe on a variety of assignments ranging from HR Transformation, System Implementation and Outsourcing for one of the largest FMCGs, Organizational Strategy for a global Investment Bank and Setting up a Global Reporting and Analytics function for a leading global Bank. After my time with Accenture I got approached by Emirates NBD in Dubai to help design and setup Tanfeeth, a one of its kind, award winning Outsourcing & Advisory Company that has been documented as a Harvard Business School (HBS) case study. We grew Tanfeeth from 20 to 3,000 people over a three year period which was incredibly challenging, exciting and rewarding. I ended my tenure at Tanfeeth as its Chief People Officer. After finishing the General Management Program at HBS I decided to quit my regular corporate career and create a new career out of different gigs, allowing me to pursue the many different interests and passion that I have, which did not fit in a conventional career. I now work as a Senior Advisor for a number of organizations, including Boston Global, Qlearsite People Analytics and PeopleCart. I also run the ETNICITY Group, which includes a boutique advisory firm specializing in organizational strategy, creative services, retail concepts development, a contemporary menswear clothing brand for which I serve as Creative Director and a production house for short films. As you can see there is a broad range of activities from corporate to creative that typically don’t go well together but I have found a way to make it work for me. I’m in an incredibly fortunate position where I can pick projects that I really love, working with people that I love working with, and I can turn down projects that I’m not interested in. This to me is the ultimate freedom. At the Global HR Trends Summit in Zagreb, you will be running a mentoring circle on People analytics, can you give us a preview of what the audience can expect from your session? GE: My aim is to provide people with a practical, hands-on overview of what it takes to build a People analytics from scratch. I’ll share some of my own experiences, both the ones I’m proud of and the ones I’d rather forget! Starting the People Analytics journey is not as daunting a task as most people may think it is, though it is far from easy. My session will hopefully lift the veil of some of the intricacies of People Analytics and help people get started to get real insight quickly – regardless of what level of maturity they are currently at. I may also include a sneak peek of what the future holds in store for analytics so make sure you stop by! What is your number one tip on employee people analytics that every company can implement? GE: Like Simon Sinek says: “Start with Why”. It’s really that simple. Unless you know what you want to know, analytics will be a useless means to a nonexistent end. 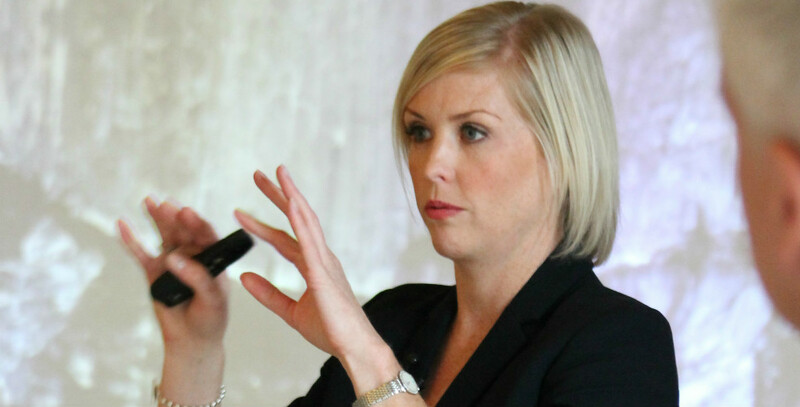 A successful analytics capability is built on a set of strategic business (not HR!) questions that you as an organization need answered, but these questions will initially need to come from you (the broader Leadership Team) – not from technology or AI. What are some of the projects that you are most proud of? GE: Building a full operational reporting and analytics architecture for a global Bank is on my highlight reel. So is building Tanfeeth from the ground up in a region and market that said it couldn’t be done. As part of my HR role in Tanfeeth I was responsible for Branding & Communications and in that capacity I oversaw the design and fit out of our 2,500 FTE capacity, 6 floor corporate Head Office – having never done anything around fit outs or interior design before. This was an incredibly challenging full year project, but it was also something I will always cherish as proud moment, especially since the woman that was overseeing the construction, IT and overall build part of the project ended up becoming my wife! I guess nothing is a better compatibility test than working together day, night and weekend for a full year. With so many different activities, what does a typical working day look like for you? 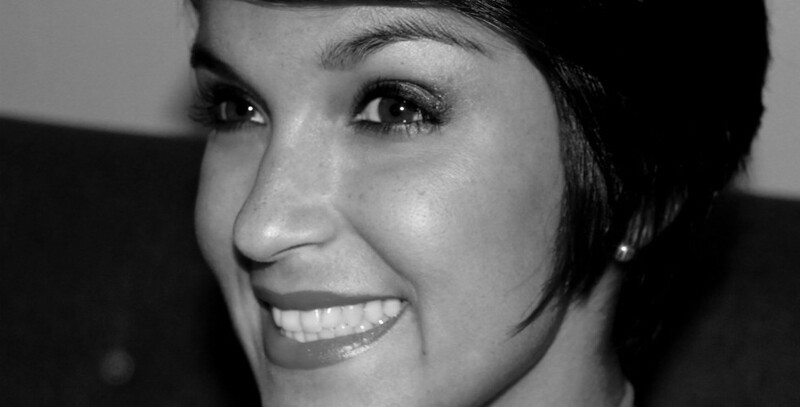 GE: I wake up at 5AM Dubai time, every morning, in every time zone (which can be a pain when I’m in the US!). After hitting the gym I usually read up on my morning news while having breakfast. My go to morning scans include LinkedIn, Politico, Bloomberg, TechChrunch, Vice, The Business of Fashion, The Guardian and random HBR articles. This is my sacred ‘me’ time and I need this time to ensure I never get stuck in day to day firefighting and short-term thinking. I currently work fulltime with the CEO of a bank on an organizational strategy and transformation program so around 7:45 I head towards his office to work on our project. Typically my day in my corporate office will be filled with meetings, analysis, problem solving, more meetings, more problem solving, some Powerpoint work and more meetings. Oh and of course attending to an endless stream of calls, emails, Slack chats and WhatsApp messages (the latter has become the communication tool of choice for a lot of my network and clients). Over time I have learned to manage the inflow of communication and have managed to make sure that it works for me rather than me working for it. Once my corporate day is over, my creative day starts so my evenings are filled with writing assignments, doing designs in Adobe Illustrator, meeting with investors, speaking to my production factory in China as well as meeting friends and potential clients or partners. What would be your advice on building a successful career? GE: Hard work, a firm belief in yourself, a burning desire to learn and reflect, a naïve sense of moral philosophy, consistent authenticity and last but not least, some good old fashioned luck at critical intersections of life. Surrounding yourself with people smarter than you are also helps quite a bit. You are currently based in Dubai, but work all around the world. How would you compare the working environment there with the rest of the world? GE: Other than the typical differences that stem from working in an Islamic country (e.g. the Holy month of Ramadan, more conservative dress code) it’s really the multitude of cultures and customs you find in Dubai that make working here very different (and at times more difficult) from any other place I’ve worked. As a dynamic emerging market, Dubai itself is a city of extremes – some things move at the speed of light and are incredibly progressive compared to the rest of the world, while other things are incredibly slow and relatively immature. Then there is also the heat – which really impacts life in general let alone the working environment. You are presenting at the Global HR Trends Summit in Zagreb in October, what are your expectations from the destination? GE: I have heard nothing but great stories on Croatia from my close friend Ivan Bartulovic – one of my HBS classmates who is the CHRO of VIPnet, so I am really excited to see the city and its surroundings. In terms of Zagreb in an HR context I have no idea what to expect so I am looking forward to meeting and hearing from people during the conference. One more thing about me is that I’m an Ambivert (Google it) – which means that while I love public speaking, afterwards, in large social settings I tend to become a bit of an introvert. This doesn’t mean I’m not approachable or interested in meeting people though, I would really love to get to know everyone at the conference, especially people who are as passionate about analytics and HR as I am! 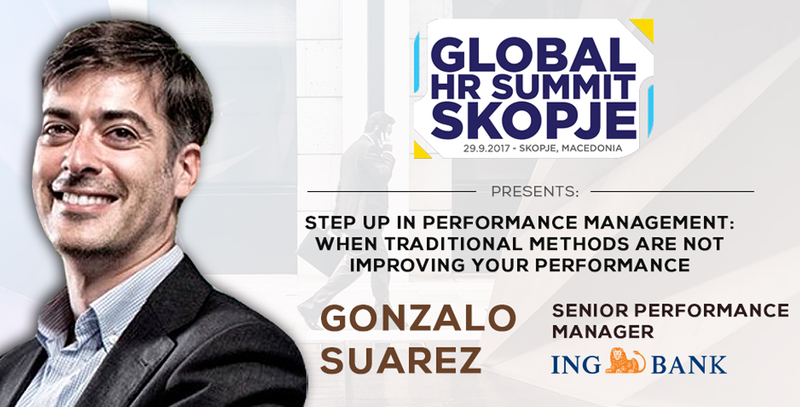 To hear more from Giovanni and people analytics visit our web-page and sign up for the Global HR Trends Summit Zagreb. Gonzalo Suarez: Stay Curious and Be Open to Change!